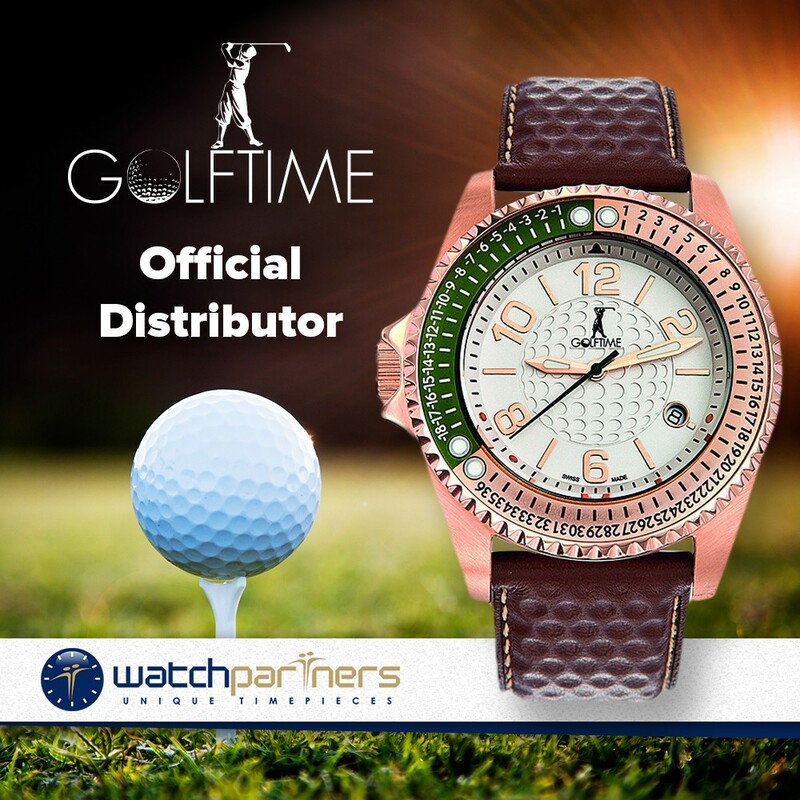 The Golftime Swiss Golf Watch is an innovative precision instrument that helps the keen golfer keep score via an ingenious bi-directional bezel. Dimensionally the timepiece has a well-proportioned gold colour stainless steel case that measures 42mm x 12mm. 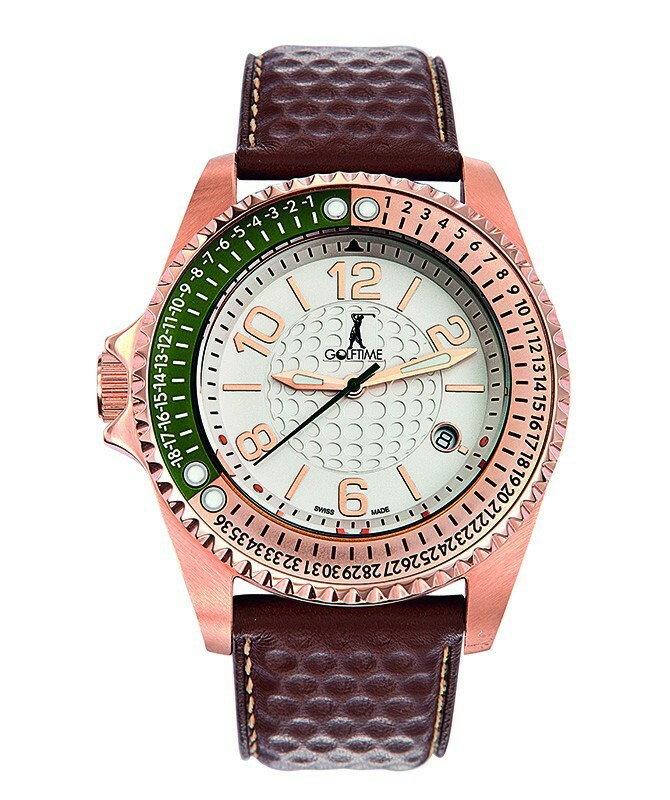 Other features include a stylish white dial (with golf ball dimples), raised gold numerals and a brown leather strap. At the heart of the watch is a Swiss made quartz movement.